Eager to get APIs deployed A.S.A.P.? Want to reduce your risk of failure? Fed up with the stress and want to kick your backlog in the back-end, right now? Eventhough our software makes legacy API integration and management 10X faster, we realize that your overall project can be complex and we’re here to help. We bring decades of legacy experience to help you understand your own core (legacy) systems from the inside-out – literally. And we’ve done it for the largest companies in the world. We can be a trusted advisor to assist with on-boarding your new OpenLegacy platform. 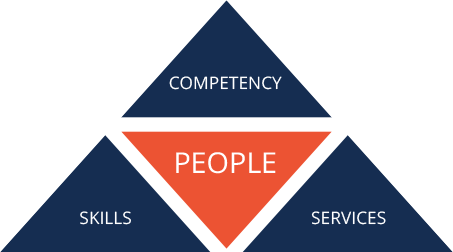 API SKILLS We help your team or designated solutions provider get started quickly with on the job training. For example, we can help with using the OpenLegacy API Integration & Management platform, and/or provide best practices and knowledge transfer regarding modern API development and deployment by implementing a single user story. API QuickStart 5 Day –Time Boxed. Implement one API use case. API Boot Camp 3 Weeks – On the job training for up to 8 staff resources. COMPETENCY CENTER We help embrace and roll out a new way to deliver digital services through API integration. We can help you build competency and teams around modern best practices to create a global and standardized API integration approach that is driven by business priorities. Learn how to start small but plan for long-term. Planning & Set-up Our team of API integration experts are prepared to help you with all the key stages of Competency Development from Planning and Staging to Standards Definition and Quality Assurance. Modernize Current Infrastructure As you embrace API integration, it is important to include plans to transition and augment your existing ESB, Middleware, Messaging or homegrown deployments. Services include co-existence planning, application rewrite, retire, replacement & modernization. DIGITAL BUSINESS SERVICES Have a huge backlog of APIs? We can help augment your internal team or solution provider of choice to quickly create APIs for your core or legacy systems. API Backlog Development We offer rapid API development & deployment including the skills, staff and methodology to deliver a critical backlog of APIs.